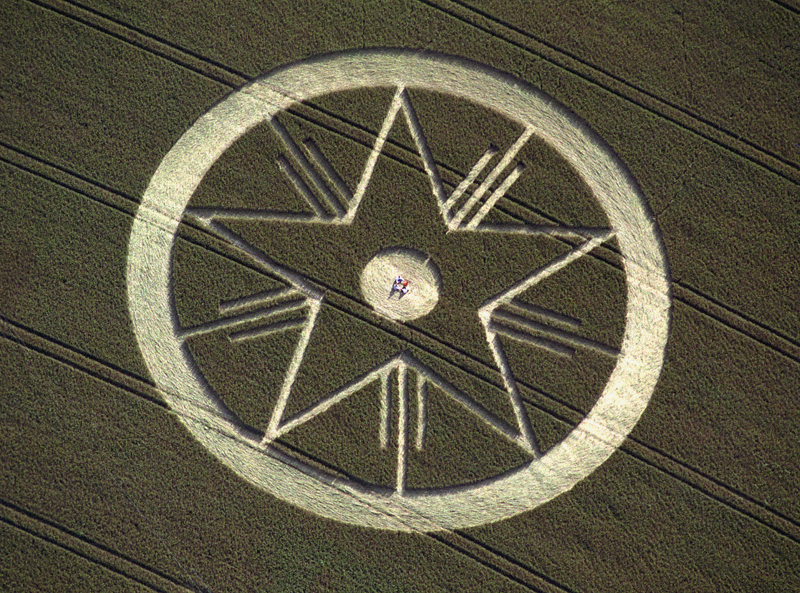 Detail: This crop circle was first reported on the 7th of July and was in a field of green wheat below Martinsell Hill, nr Oare, in Wiltshire. 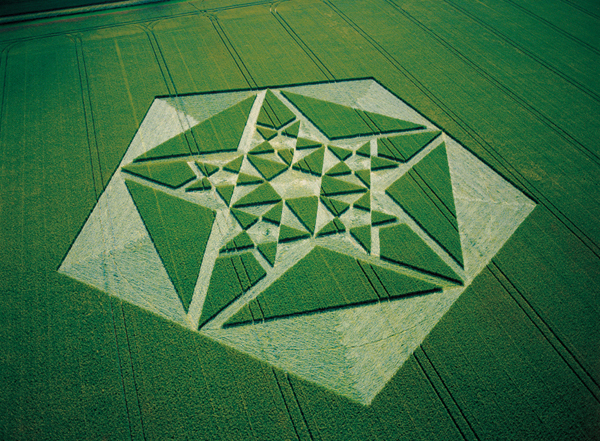 The formation was not huge, it measured approximately (just over) 200ft in diameter, but was cut from the field by the farmer within hours of it first being photographed. Questions: This circle was first reported around mid-morning on Saturday the 7th of July. By the time the first pictures were posted on the internet the formation had already been cut by the farmer. Photographers had apparently arrived at the site very, very early that morning, and subsequent comments made by the farmer on social media rule out the fact that it had been there the day previous. When approached by the farmer, one of photographers told him that he had been tipped-off by the people who had apparently made it. As a result, by approximately 9am that morning the farmer had cut the circle from his field, apparently watched by some of the photographers still there. The circle was deliberately not reported to anyone else until after it had been cut. This, in effect, prevented anyone else recording the circle, anyone else speaking to the farmer about allowing access for researchers or visitors, or in fact sharing it in any ‘meaningful’ way with anyone else. 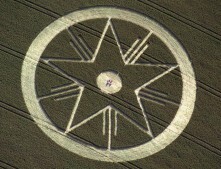 We were also denied access to any of the pictures taken of this circle to engineer an ‘exclusive’ for another crop circle reporting website. 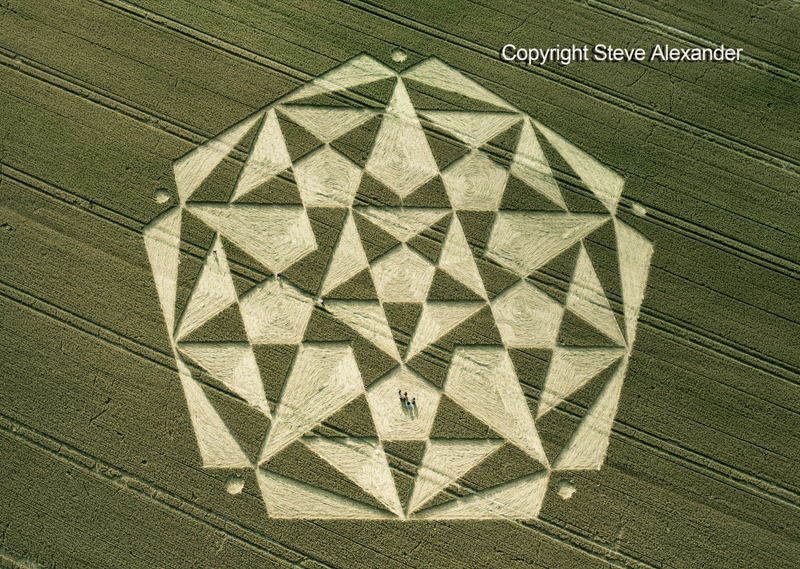 Because of these circumstances, we decided not to report the crop circle on this website at the time it happened. 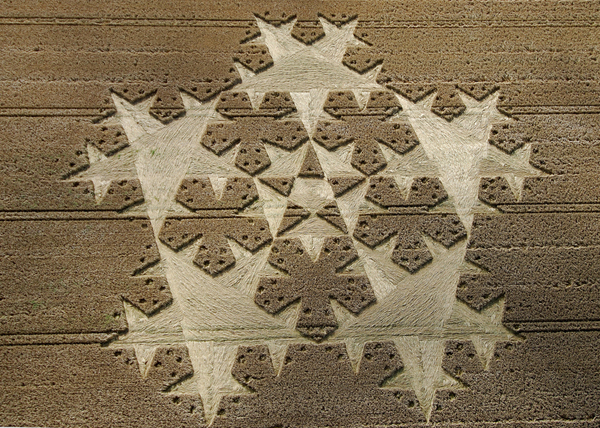 For us, because of the way way it was reported, and because of what had been said to the farmer, with out further clarification this crop circle had several large question-marks over its appearance. While nothing has essentially changed since then, we have decided for completeness to now include this formation in our record of the year. People will have to make their own minds-up about what they think of this circle and the way it was reported for themselves, based on all the available information. There are of course many opinions and this is fine, but to simply ignore, skirt around, or gloss over the circumstances surrounding its appearance, would be incredulous to say the least. Despite all of the above, this was a beautiful and complex formation that should be considered and explored – hence our inclusion of it on our website and Karen’s drawing and analysis below. 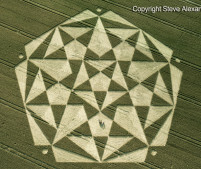 Design and Symbolism: In many ways this formation could be seen as part of a series of crop circles that have utilised the pentagram over many years. 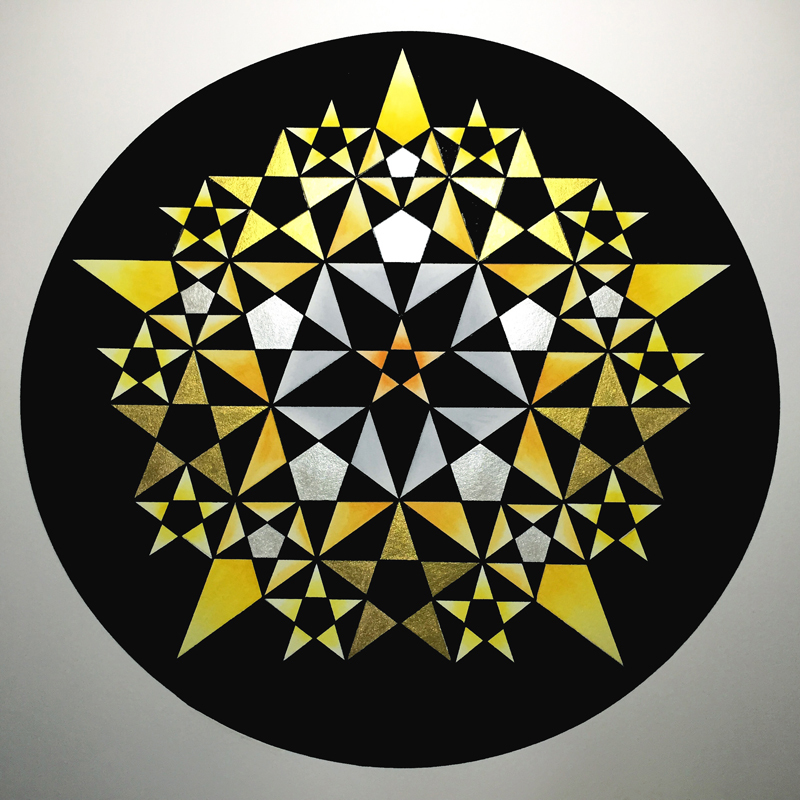 While the ‘Bythorn Mandala’ of 1993 contained the first implicit pentagram, it was the Bishops Cannings circle of 1997 that contained the first explicit pentagram. 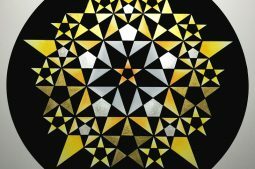 Since then there have been a number of formations which have ‘evolved the pentagram’ into more and more elaborate designs and patterns. Some notable formations in this series would include Avebury 2003, Titchcombe in 2007, and Calstone Wellington in 2016 (see the gallery below for photos). Five is the number of life, regeneration and the fecundity of nature. 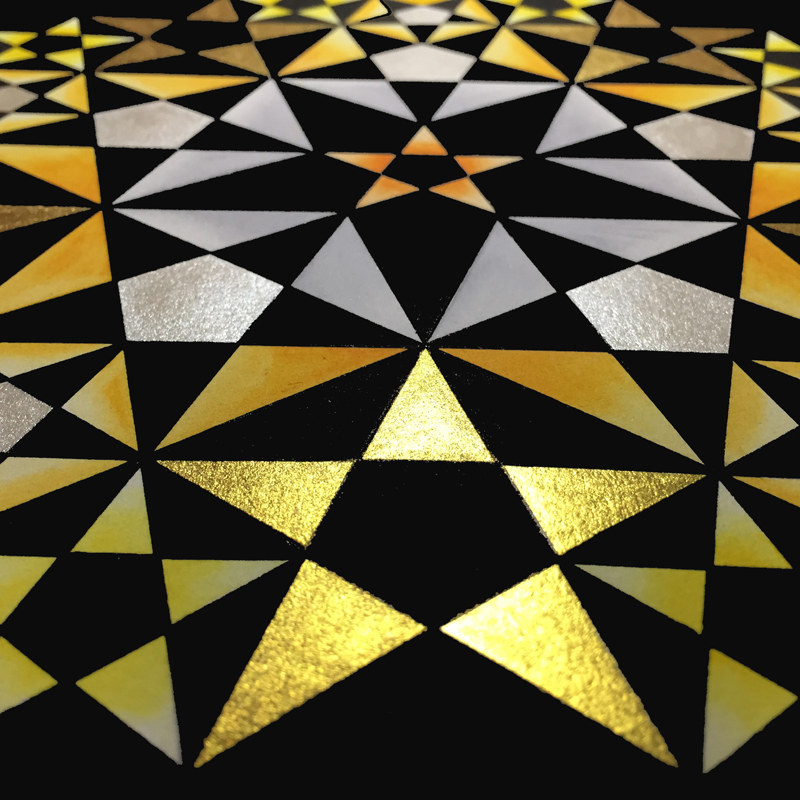 The pentagram is the generator of the Golden Section; that hallowed ratio which is founded in the proportions and growth patterns of all living things and then translated into sacred spaces – temples and churches. 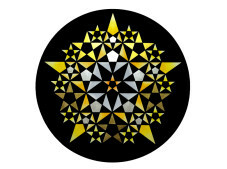 The pentagram star is as almost as ubiquitous in human culture as the Divine circle itself; golden five-armed stars adorned the midnight-blue ceilings of the tombs of the Ancient Egyptian kings, and in modern times they are featured in company logos and many international flags – even standing in place of the anonymous-fallen on the wall of the CIA . Looking at their varied uses in our culture, it might be said that they represent ‘that which we aspire to’ and in some ways the human spirit or soul. 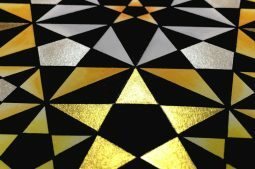 The association to magic has similar connotations, perhaps the pentagram is also connected to the ultimate magic of what it is to be human? 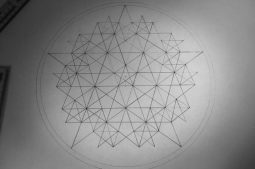 Like some of the other pentagram-based crop circles over the years, this formation is yet another step in the ‘fractalization’, or ‘complexification’ (if one will allow such terms in this context) of the pentagram. 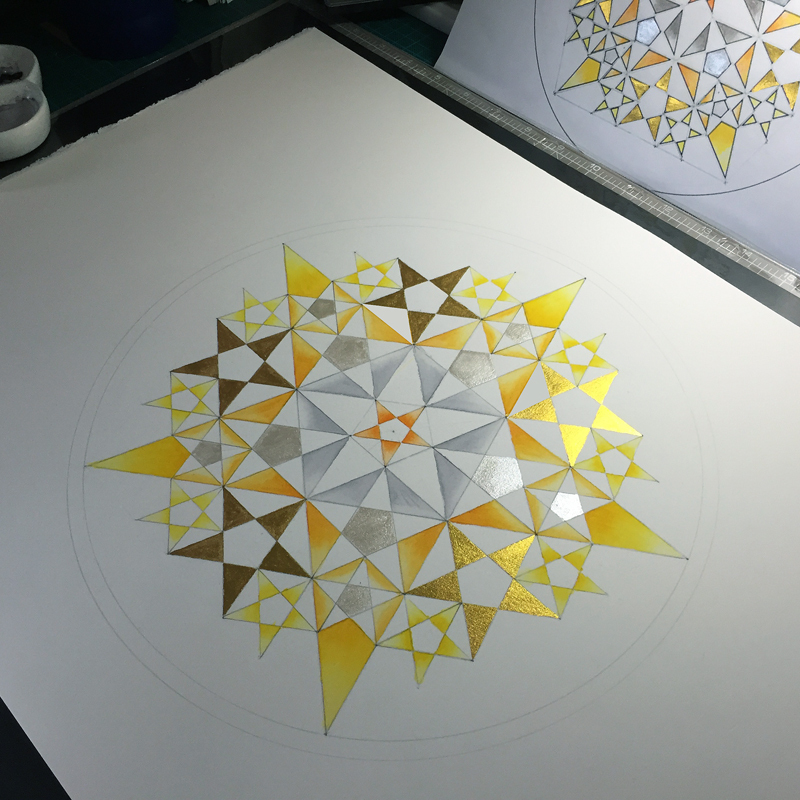 As I drew this formation I had the distinct impression of a huge surge of light that exploded into to a cascade of stars; the visual power of the pattern upon the psyche cannot be denied – simultaneously a destructive and creative power. 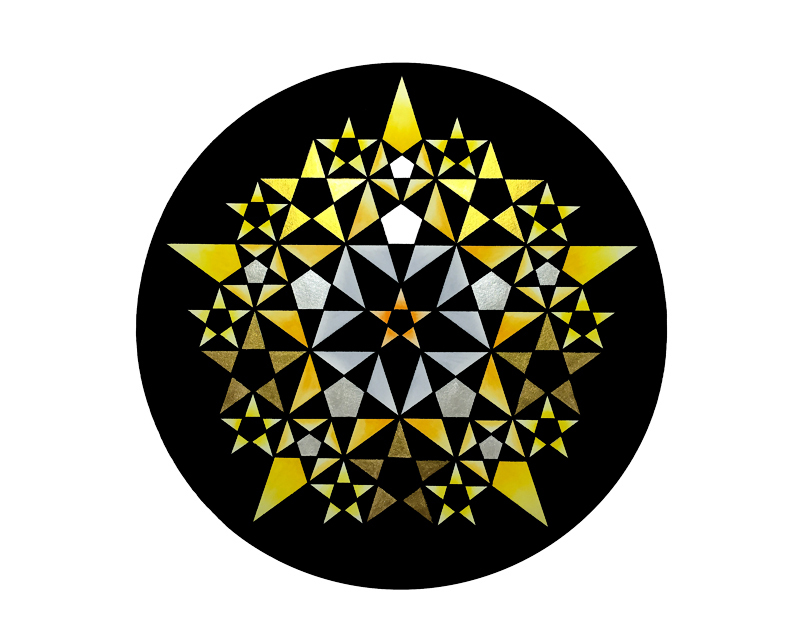 Somehow my impression seemed to align with the design and the circumstances under which this crop circle entered into the world – and then suddenly left it. What can be learned from such an event? Much, I suspect, for those prepared to dip beneath the surface, and openly follow the often difficult tides and flow of what is evoked by these images. 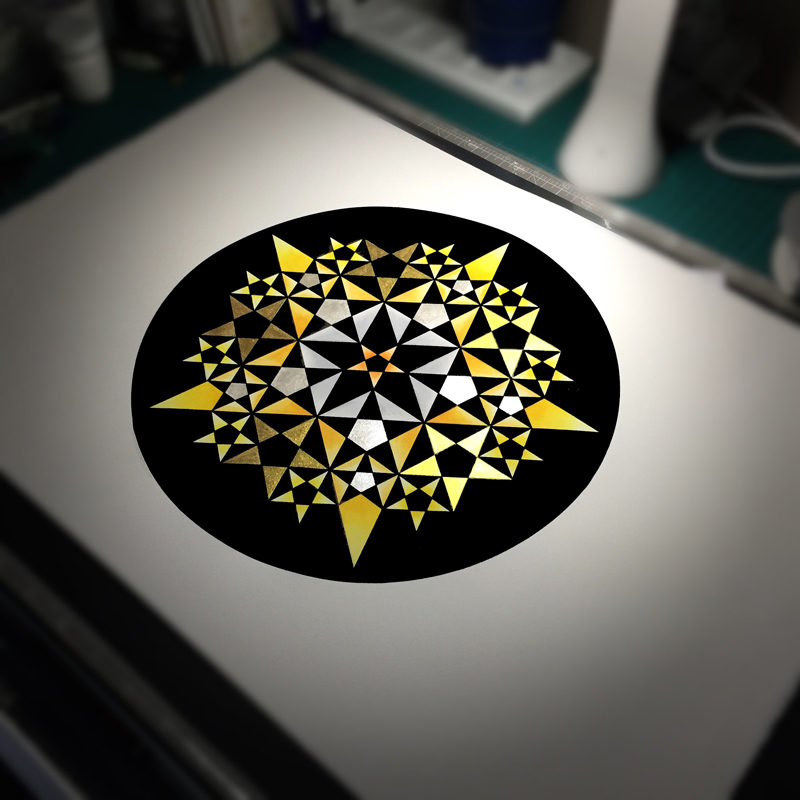 It was also interesting that for a crop circle, there was only one circle in this design – the containing circle. 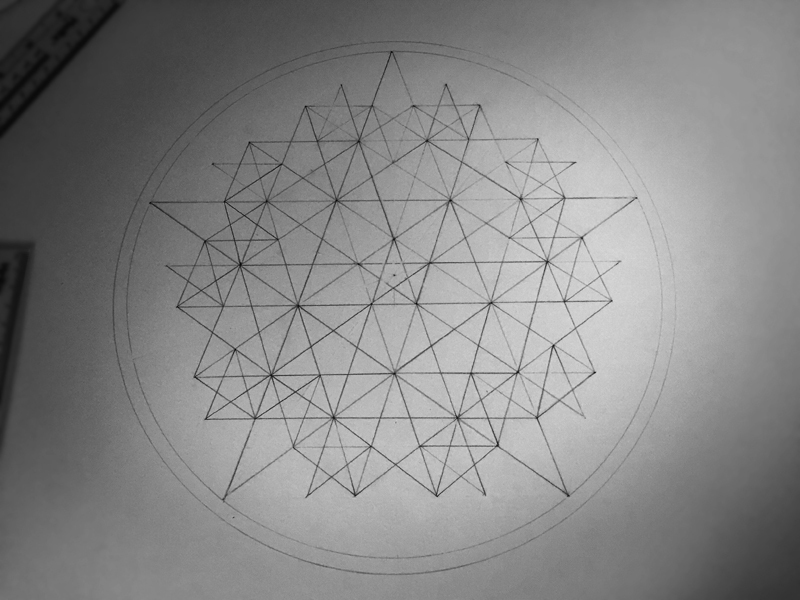 All the rest of the pattern is drawn with straight-lines, it felt kind of strange to only use the compass once on a design as large and complex as this. While we were not able to record this formation as it appeared in the field, we hope you will appreciate our candour as to its discovery and find the information, drawings and analysis useful. 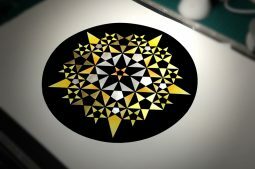 Visiting the Circles? 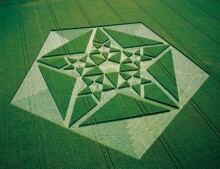 If you are thinking of visiting any crop circles, please read our Visiting the Crop Circles section. 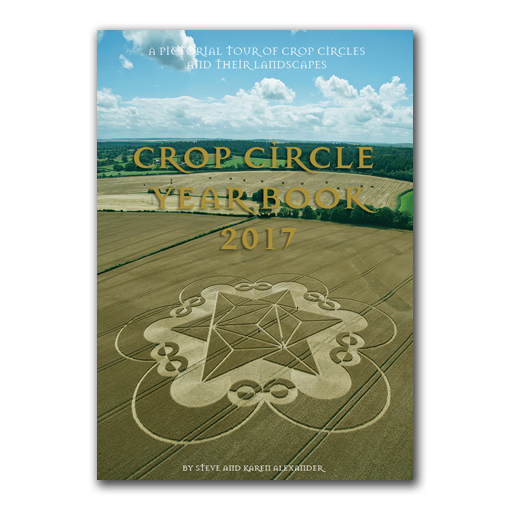 It’s full of useful information and etiquette for visiting the countryside and the crop circles. Please remember that you should not enter any fields without the express permission of the farmer. Please Help to keep us Flying into 2019: If you have enjoyed looking at our pictures and information please consider making a small donation to keep us flying. There are so few of us left regularly recording the circles it’s really important that we continue. And while some now use drones to record the circles, it is important that there are still images taken from aircraft where the best quality camera equipment can be used and images that include the broad vista of the landscape can be taken. This kind of photography is expensive and it gets harder with each passing year to raise the funds we need to continue our work, but if everyone who regularly looked at this website made a small donation we would meet the funds we need. You can make a donation here. NOTE: Click on each image to enlarge them and see the whole picture. 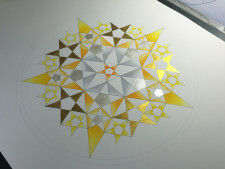 All the drawing/painting images in the gallery below are by Karen Alexander. This crop circle has been harvested.